When hiring contractors for insulation replacement or installation, make sure you’re hiring professionals who really know what they’re doing. 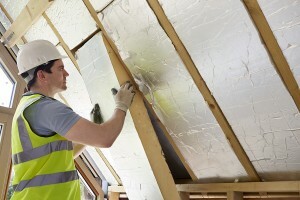 Turn to the experts at 31-W Insulation to make sure that your Tuscaloosa, Alabama, home is properly insulated. All of our installers are our own highly trained and experienced employees, never subcontractors, so you can trust that they’ll hold themselves to our high expectations for excellence in workmanship and customer service. In fact, we hold an A+ rating from the Better Business Bureau, a testament to our high rate of customer satisfaction. Having our contractors replace the old insulation in your home is an excellent way to help reduce the likelihood of mold and mildew growing in your walls, so your home will feel cleaner. On top of that, our premium insulation will help your HVAC system not have to work as hard to maintain comfortable and consistent temperatures year-round in your home. That means you’ll use up less electricity, potentially lowering your energy bill and reducing your carbon foot print, because new insulation is an eco-friendly investment. For more information about our insulation contractors and how they can help you improve your comfort and reduce the amount of energy wasted at your home in Tuscaloosa or elsewhere in Alabama, contact 31-W Insulation today.